Way to go, Hinsdale Central! 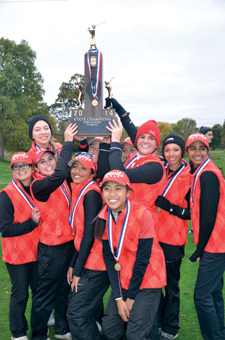 In the last several weeks, Hinsdale Central Boys’ Golf Team, Girls’ Golf Team, Girls’ Tennis team have all won state championships. (The Boys’ Tennis Team took state last spring.) And at press time, the Red Devils were on their way to compete for state honors in both cross country and soccer—not to mention that the football team is still going strong. Congratulations to all of our local student athletes on your amazing accomplishments!